Radio legend and paranormal radio host Hilly Rose has passed away at the age of 91. His seven-decade-long career began in the 1940s when Rose was a child actor, performed in network radio soap operas in Chicago, (Ma Perkins and First Nighter) and has made industrial films and commercials since 1961. After serving the country in World War II, Rose resumed his radio career by becoming one of the country's very first talk show hosts in the medium. Before moving to Los Angeles, Hilly was on the air in San Francisco for a number of years, hosting highly-rated talk shows on KGO, KCBS and KNEW, as well as a television talk show on KTVU. He spent close to two decades at KABC, KFI, and KMPC. Hilly was best known for his talk show "Open Phone Forum" on KFI, before satellites made national talk shows feasible. The KFI signal stretching across the country drew calls from all 48 states. While working for KCBS in San Francisco, Rose famously landed a rare interview with the Beatles in 1964 at the height of Beatlemania. In 1979 he joined KHJ/Channel 9 News to review restaurants. "I appeared live on TV and radio simultaneously through the wonders of tape." When Art Bell “mysteriously disappeared” in 1998, Hilly took over the Coast-to-Coast program on 482 stations including KABC. He later alternated nights with Art Bell until January 2000. He also filled in numerous times for Larry King on the national Mutual Radio Network. Hilly had one of the very first shows on the Sirius Radio Network. The show focused on examining the paranormal. Rose's pioneering career was honored in 2016 by way of induction in the Bay Area Radio Hall of Fame. 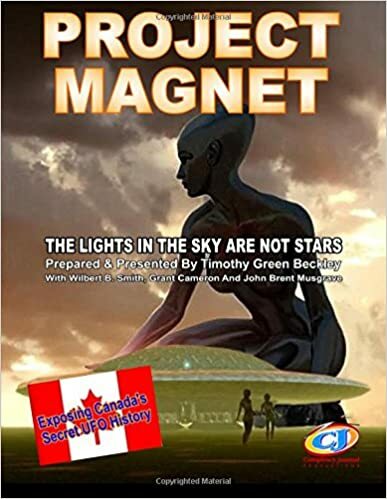 Recently, a groundbreaking story in the New York Times, Glowing Auras and Black Money: The Pentagon’s Mysterious UFO Program, which was covered by media internationally, was the first acknowledgement by the Pentagon since the 1960’s that they were taking UFOs seriously. 1) A number of sightings were left “unexplained”?—?these were different from the number of sightings that were “incomplete” (i.e. there wasn’t enough information to figure out what they were). If you read the information contained in that report and others, the real story wasn’t just that the DoD admitted they were studying UFOs, but that this was the first time they admitted publicly of having real evidence, including video, radar, eyewitness, photographs and even physical artifacts, of encounters between US military aircraft and unknown craft which were defying the known laws of physics. There should be a big cry from Silicon Valley?—?which is supposed to be the heart of innovation ( I live here and am just down the road from both Google and SETI in Mountain View). Instead of Elon Musk spending his time trying to make rockets (a 50+ year old technology) work better, if he truly wants us to become an inter-planetary (and perhaps inter-stellar species) shouldn’t he be investing some of his billions in figuring out this not yet understood form of transportation? While Google has the Lunar X prize for us to reconstruct technology that we had working 40 years ago to go to the moon, shouldn’t they be investing more $$ in an X prize that would mark a real advancement in physics and human exploration?—?demonstration of a non-rocket based system of flight and propulsion to the stars? The truth is we don’t really know how this UFO tech works, and in the realm of basic research, Silicon Valley may be more of a laggard than an innovator. And by “we”, I’m saying that it’s our mainstream science that really doesn’t know how it works. Arthur C. Clarke once said that sufficiently advanced technology is indistinguishable from magic -and there’s nothing that our “respectable”mainstream scientists hate more than something that appears to be “magic” because we don’t understand it. Although I’m usually the one who brings up science fiction scenarios, one researcher brought up an apt one to me: In the movie Terminator 2, scientists and engineers were given limited access to “it”?—?the pieces of the microchip and the skeleton of the terminator which had come from the future. They were reverse engineering it trying to figure out how it worked. It was far ahead of anything that had been developed to date. 2. As more information leaks out, at some point, the David Drumlin effect happens. What is the David Drumlin effect? In the same movie, Contact, after an actual signal from another world was discovered, the same scientist that ridiculed Ellie Arroway suddenly became an “expert” on the new signal and aliens and tried to co-opt the work, never acknowledging their prior attitude of closed-mindedness. Former KGB chief Vladimir Kryuchkov spent 20 years in the Soviet intelligence agencies. In an interview with the Komsomolskaya Pravda daily he reveals what the KGB knows about UFOs and other supernatural phenomena, life in space and secret agents’ secret methods. The media keep telling us about UFOs and a variety of other supernatural phenomena. Researchers and cosmonauts may have different opinions on the matter, but all of them are sure of one thing: that exact information can be obtained from the intelligence agencies. You headed the Soviet secret service for the longest period of time, 17 years, that is, from 1971 to 1988. You also chaired the KGB from 1988 to 1991. You must be able to give us the ultimate truth — are there any UFOs out there? We have never received any proof whatsoever that UFOs or other supernatural phenomena actually exist. The authorities asked me many times to prove or refute reports of this or that inexplicable incident on the planet. Most frequently I received requests concerning UFOs and yetis, the “snow people”. I would commission our best specialists and agents to find out where the reports that worried society so much came from. In the end it always turned out to be pure imagination. Sometimes an ignorant observer would interpret an unfamiliar phenomenon in a mystical way, sometimes a perfectly ordinary event would be called supernatural to make news. Often the people would add the KGB knew about the supernatural phenomenon, but wanted to keep it secret. With full responsibility I have to state — never ever during the long period of my work with the intelligence service was anything really supernatural spotted, either in Russia or in any other country. When I say “other country”, I rely on the information from the highest officials, military, research and of course the intelligence agencies of foreign states. The point is, in every “important” country presidents, prime ministers and secret service chiefs requested investigations into resonant abnormal incidents. And in every case, in each country, competent people would give one and the same answer — no. I have personally read copies of these reports. I finally came to the conclusion that, for better or for worse, there is nothing supernatural on the Earth. Then how do you explain the annual self-ignition of the sacred fire in Jerusalem? I’m afraid I must disappoint you — it is just smart work, or if I may say so — a trick of the local clergymen. It has nothing to do with the divine powers. I could go further and say that our KGB researchers could organize a couple of miracles in Moscow that would totally outshine the Jerusalem fire. But this would mean playing games with believers’ religious feelings. This is utter disrespect, relying on their ignorance of some natural phenomena and secret scientific inventions. Did the Soviet authorities commission you to get information about the Tunguska comet from the U.S.? No. Because there was not a single clue to start from. If we had had something, we would have tried to investigate, but we didn’t! And neither did the U.S. nor any other country. By the way, the Americans tried conducting so-called “parapsychology experiments”, but made no progress. Neither did our own research institutes in this respect, although we also conducted some research… There are more exaggerations than achievements here. More precisely, no discoveries at all, and this with the efforts of the KGB’s best, most extraordinary thinkers. This is a field that generations can explore for years, and still discover nothing. So you have to be careful when approaching it, and give no promises to anybody, but persistently continue the research. Then maybe you can answer some of the expectations by revealing something new. So, what I want to say is that — had there been anything at all, our agents would have informed me immediately. Books and movies about spies are packed with stories of mysterious deaths. Venoms that are impossible to trace, unheard of weapons and murderous fighting techniques. Now is any of that true? Who and in what case would act this way? All of this is true. Some still is. But “the fashion” today is a battle of minds. Intelligence agents, and especially espionage agents try to outwit their opponents with complicated operations. They try to fool their opponents. Actually the murder of Stepan Bandera was one of the last cases when the KGB disposed of undesired people by means of violence. The USSR abandoned those methods in the times of Andropov, at the beginning of the 1980s. The West proclaimed the same non-violence policy, but we have information raising doubts that, say, the Americans follow this policy. We witnessed agents who were U.S. nationals disappear, and then learned they were dead. Is it possible to steal a person from a foreign country and secretly bring them to Russia? Well, technically this is no problem at all! Just name him! More important here is the issue of relations between Russia and other states. The times when we stole people are gone. If you steal a person today, and another tomorrow — who can guarantee other states will not start thinking badly of us? They may decide that Russia is not to be trusted, is not to be dealt with. Relations with other countries are more important for Russia than success in a single case. If the pressure of running New York State doesn’t keep Gov. Andrew Cuomo up at night, things that go bump in the night do. New York’s governor’s mansion is believed by many to be haunted — including former Gov. David Paterson — and Cuomo says spooky noises are keeping him sleep deprived when he’s upstate. Paterson told The Post that the 161-year-old Italianate mansion is, beyond the specter of doubt, haunted. “Yes to be honest with you,” Paterson said when asked if there is a ghost. He even went on a phantom-hunting expedition late one night while governor. Paterson was in a second-floor bedroom when heard a sound like a vase smashing, he said. He searched two floors of the building but never found the source of the mysterious noise. The next day, house staff told him he had a run-in with the home’s oldest resident. Staff believe it’s the spirit of a groundskeeper who served the mansion’s original owners before the state bought the building in 1877, meaning nearly every governor since Samuel Tilden — including Cuomo’s dad Mario — lived in a haunted house while governing New York, according to Paterson. While Paterson was living there, his 5-year-old nephew revealed that he could feel an invisible hand guiding him when he climbed the mansion’s stairs, leading Paterson to believe the spirit is benevolent. The mansion is not the capital’s only haunt for the undead. The State Capitol building is believed to be infested with the supernatural, and the state even offers spooky tours there. A central European version of the Loch Ness Monster has been caught on camera. The footage appears to show the head and neck of a large creature emerging from the water. A previous video said to show the monster was filmed in the Greek section of the lake, near the village of Nivica, five years ago. The new footage sparked an investigation by a party of journalists who were led on a tour of the lakeside by retired geography professor, Sima Jonoski. However, they failed to see any further sign of the monster in the area where it was seen, near the Albanian tourist village of Pretor. While many locals believe in the legend of the monster of the lake, others think it is a giant catfish. Mr Jonoski, a non-believer who became the first man to swim across the lake back in 1970, said: 'I remember when a ship sank in Albania, near Mali grad, a lot of children drowned in Prespa Lake. 'Then I found out that the divers who searched for them saw great catfish. They were so scared that they stopped the search. When I was a teacher in 1976 I saw a large pillar of water rising near the border with Greece, shaped like a mushroom. The Great Prespa Lake, and the nearby Small Prespa Lake, are the highest tectonic lakes in the Balkans, at an altitude of 853 metres (2,798 ft). There are legends of monsters living in a number of lakes around the world, including Nessie in Loch Ness and Morag, in Loch Morar, boith in Scotland. Other legendary creatures include the Lagarfljot Worm, in Lagarfljot, Iceland, Ogopogo, in Canada's Okanagan Lake, and Lariosauro, in Lake Como, Italy.